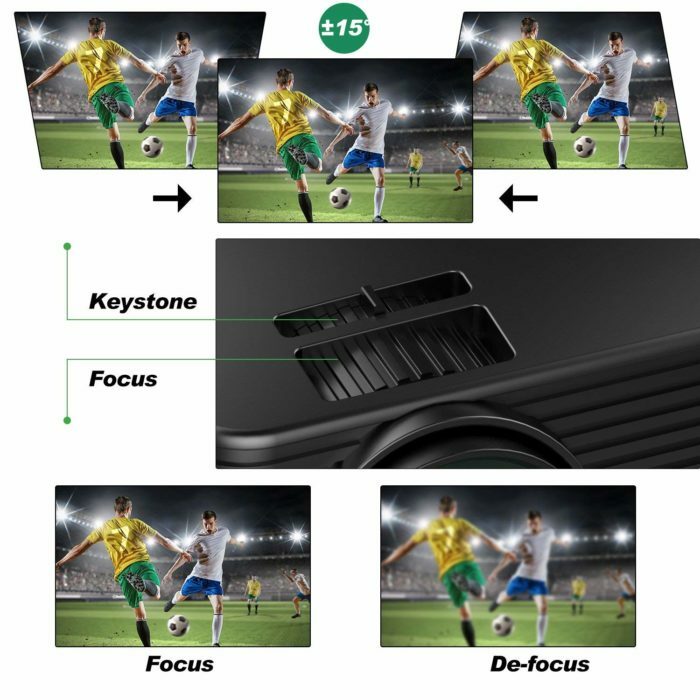 Whether it is a desktop, laptop, tablet or mobile phone, your eyes are fixated at a screen or another. 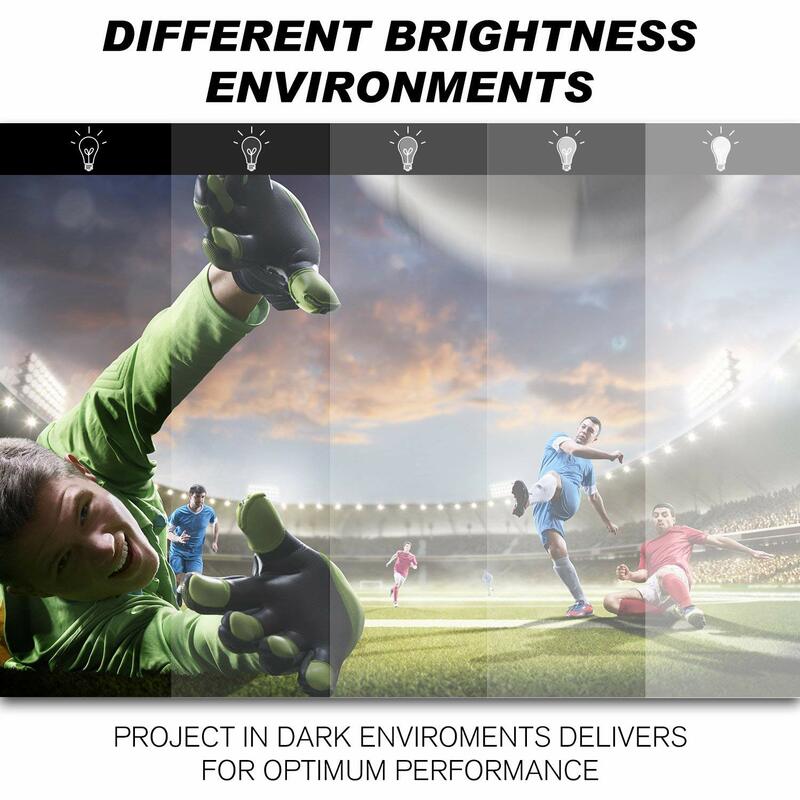 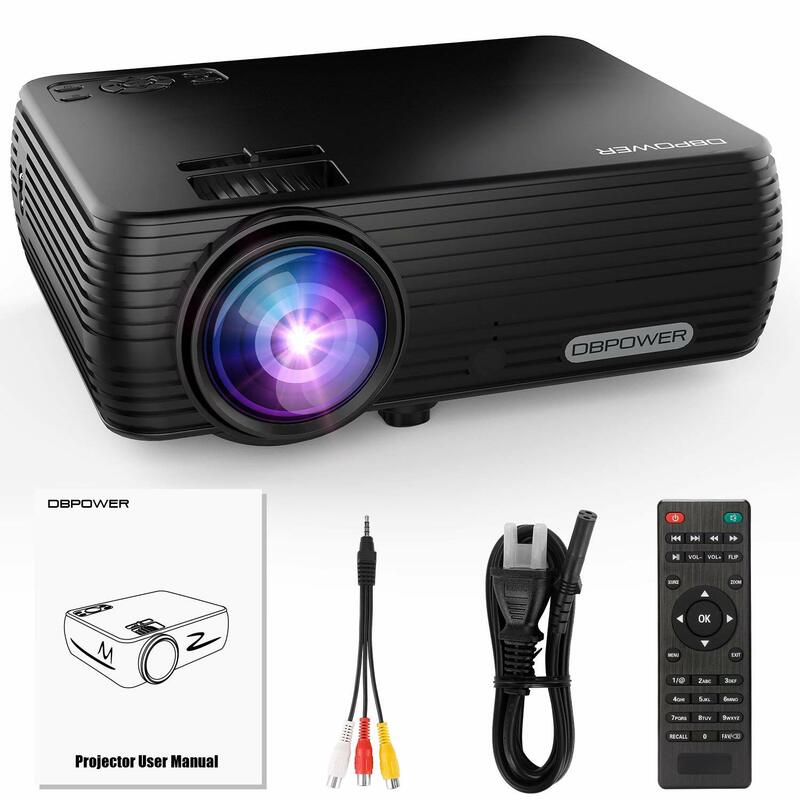 Thanks to a soft DLP reflective light, DBPOWER X5 projector can help protect your eyes from the blue light and direct light. 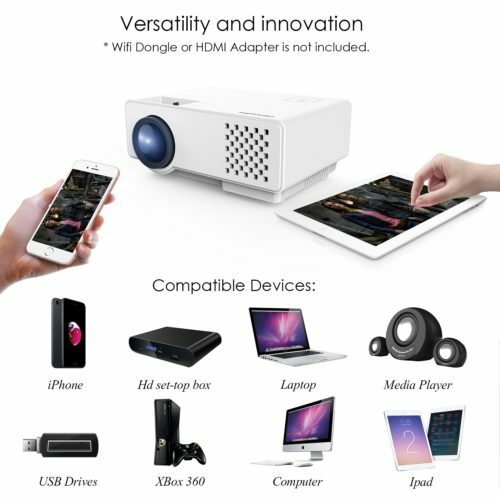 Now just free your eyes from screens and enjoy ultimate movie experience! 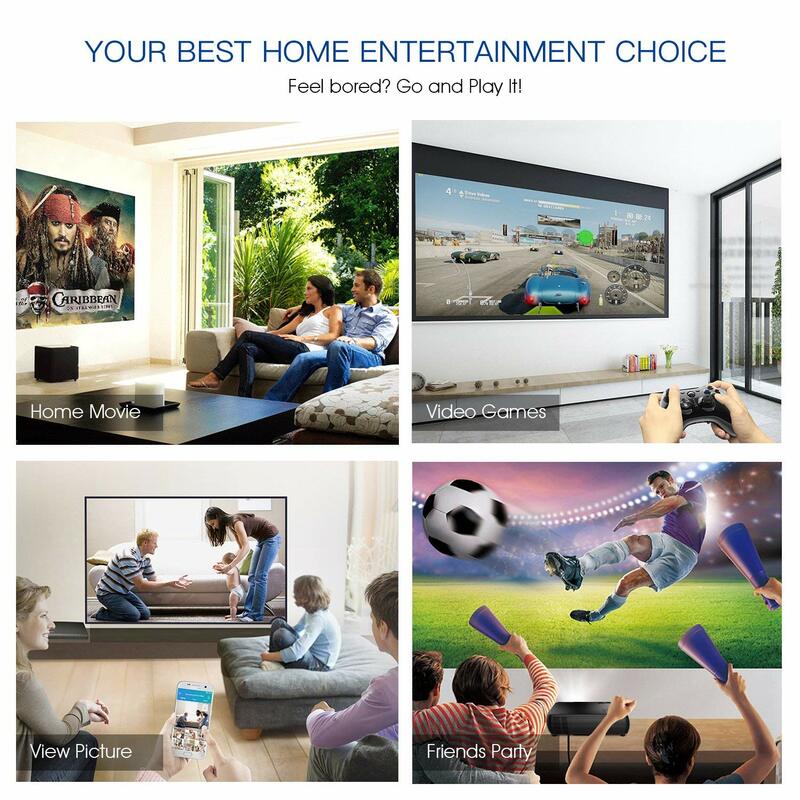 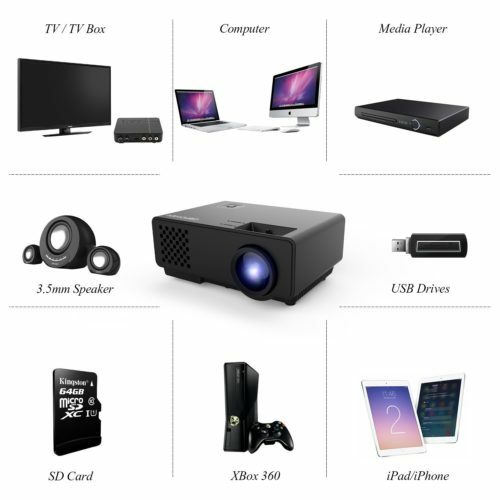 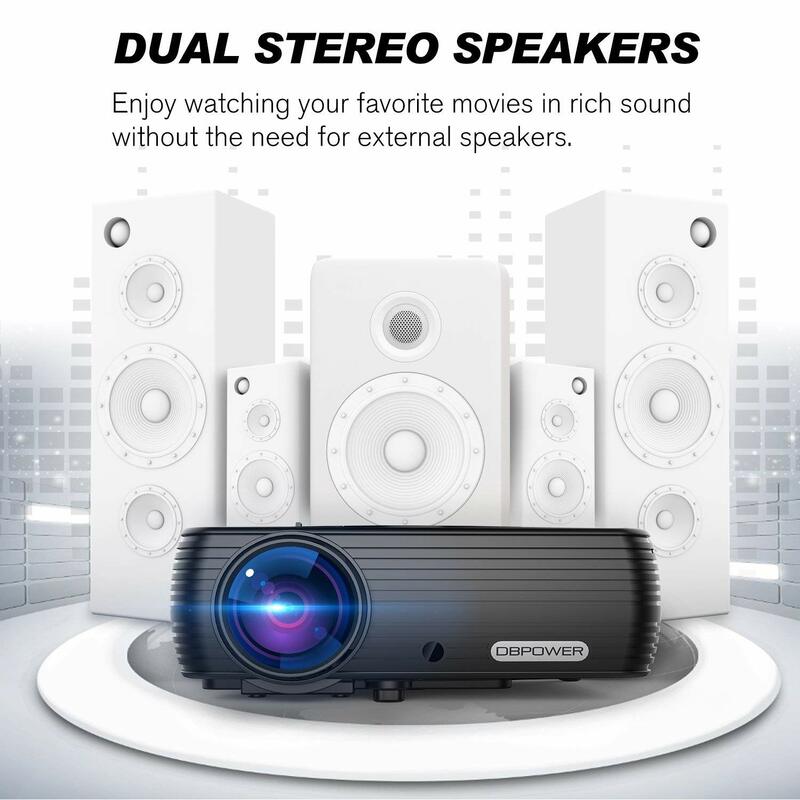 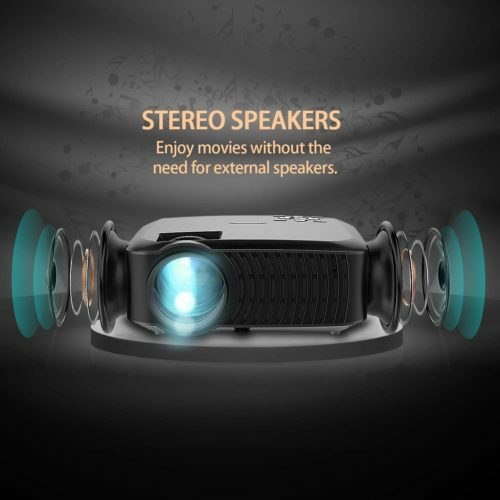 ✔ 60% Brighter than the Others & Mini Design, Portable for Home Theater. 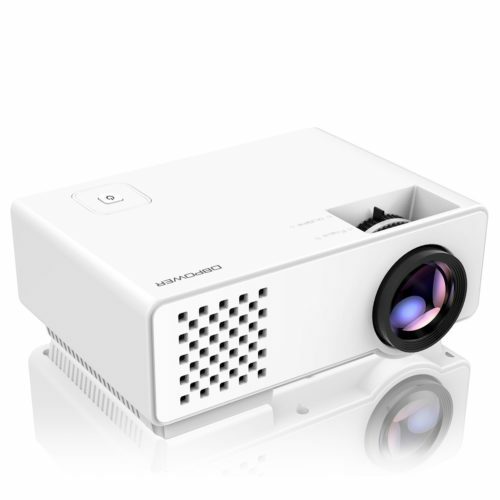 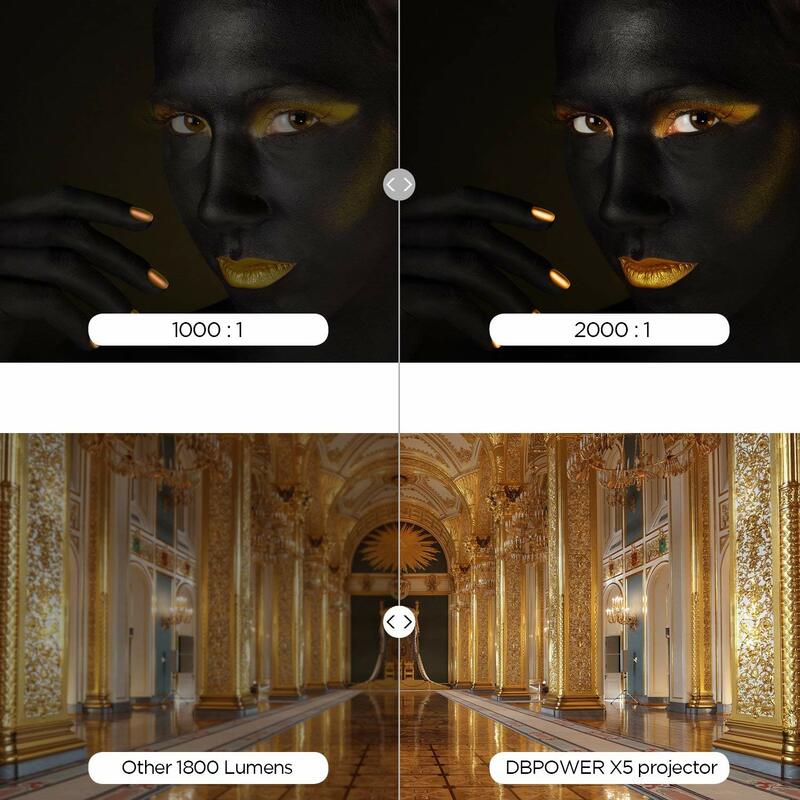 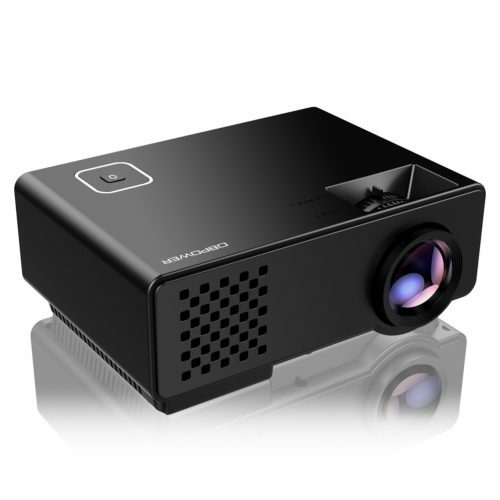 DBPOWER X5 mini projector with 1800 lumens and 2000:1 contrast ratio, brighter than the others 1000 or 1500 lumen. 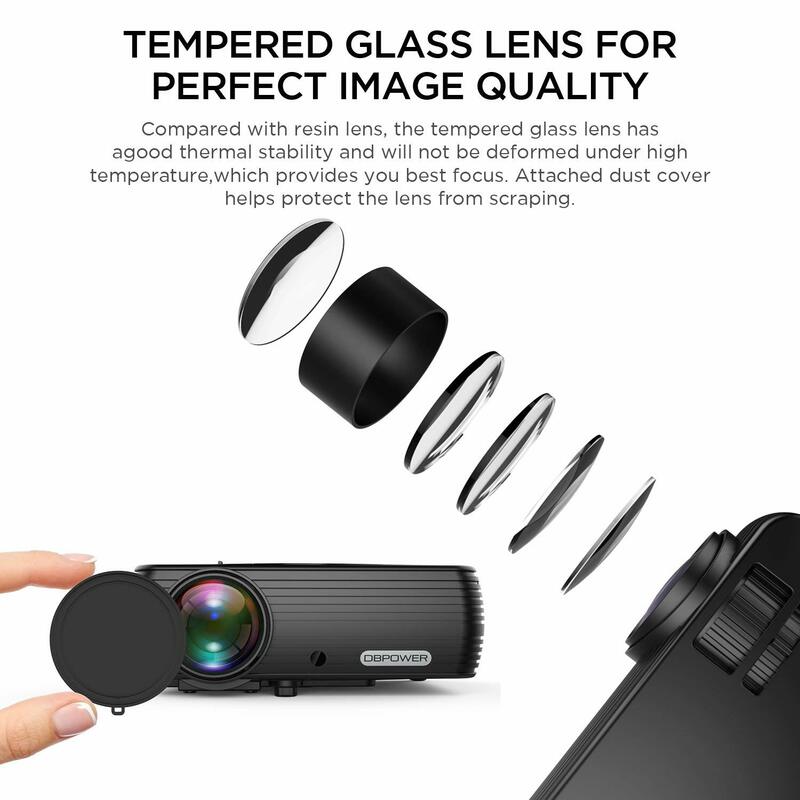 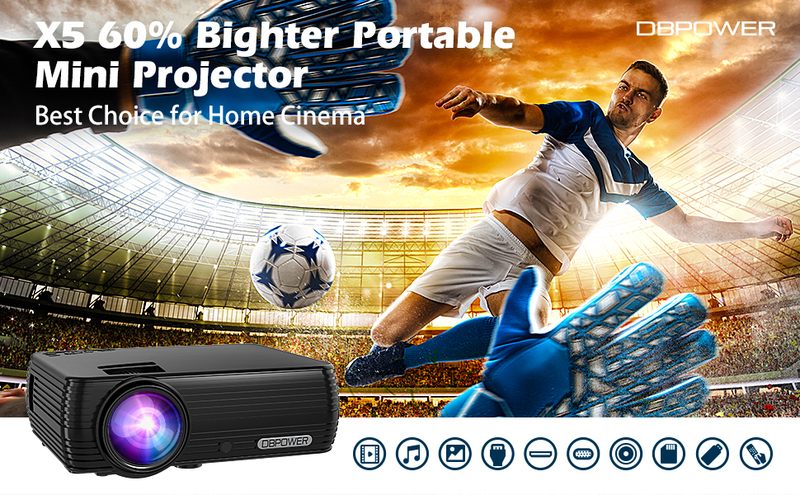 Item size: 198 X 148.6 X 68(mm), mini design, more convenient to carry and install, Features with upgraded LED source technology, support 1080P, 720p, 480P, which makes it possible to project a clear image. 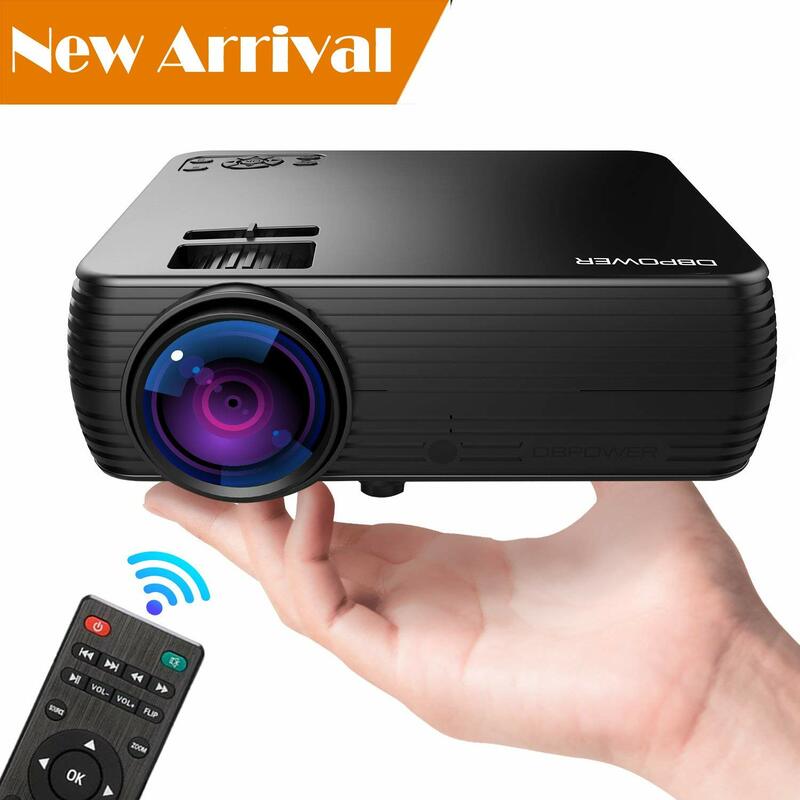 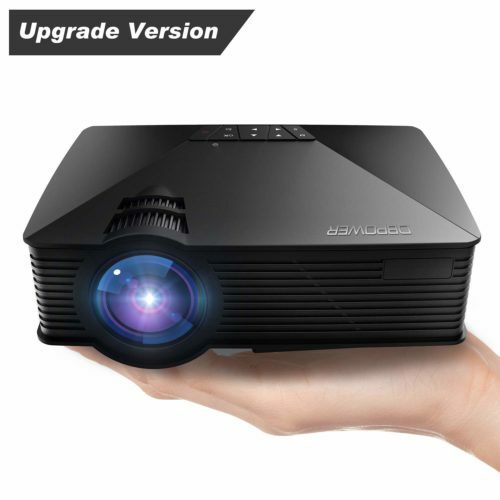 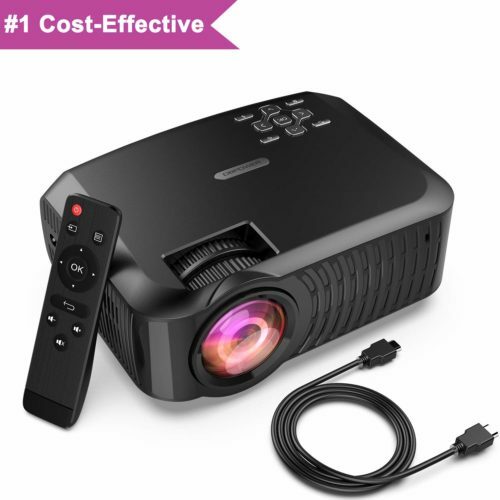 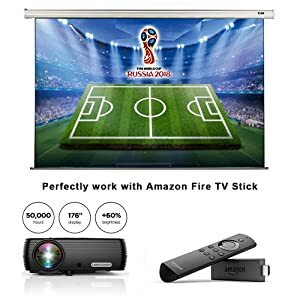 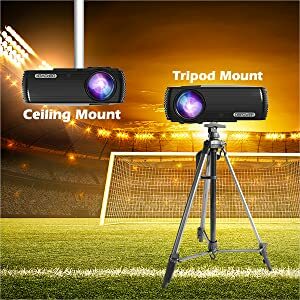 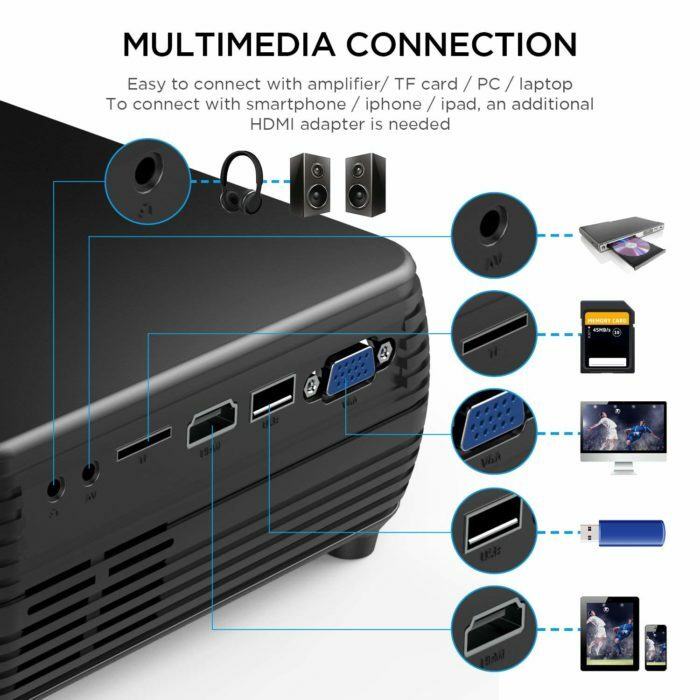 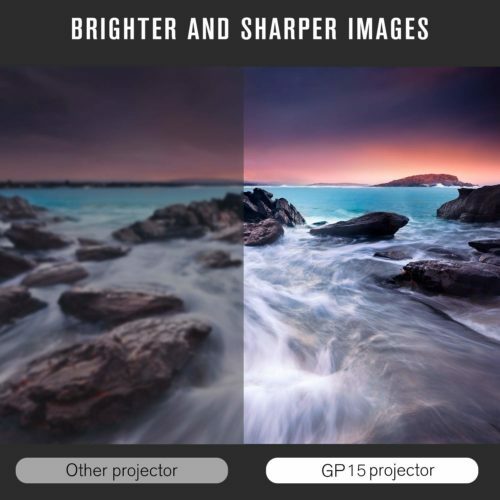 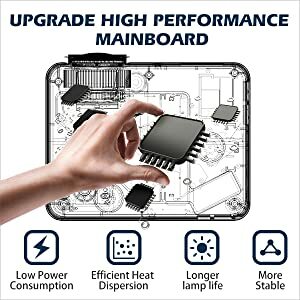 this is an ideal projector for you to build an incredible home theater or an ultimate backyard theater, especially for movie night, football night, party etc.